STRAW's ultimate goal is to build a society where people are empathetic to one another, compassionate to animals and care for the environment; and the medium chosen to achieve this is by imparting humane education to children, adolescents and to adults. We do this under three of our programs – Compassionate Kids, Compassionate Teens for school children and Compassionate Youth for college students. Humane education can play a significant role and serve as a key tool to reduce cruelty towards animals. Gross unawareness about the fact that the animals too are sentient beings who can feel emotions & pain, just like we human beings, is the main reason that people are cruel to them. What we need is a compassionate society and this is best achieved through children. We therefore reach out to hundreds of thousands of children through our Compassionate Kids and Compassionate Teens humane education programs in schools and by contributing humane education content to their school textbooks under our program Compassionate Classrooms. In their formative years, children can be better sensitized towards the plight of the animals and the environment, as well as the importance of coexisting peacefully with them. We thus sow seeds of compassion in their hearts and minds. "Teaching a child not to step on a caterpillar is as valuable to the child as it is to the caterpillar"
Raising public awareness about the importance of a sustainable society, in which people and animals live in harmony with nature, is one of our key mandates. We achieve this through our Compassionate Youth Program wherein we make colleges and university students aware of the importance of environmental conservation and achieving a sustainable living. 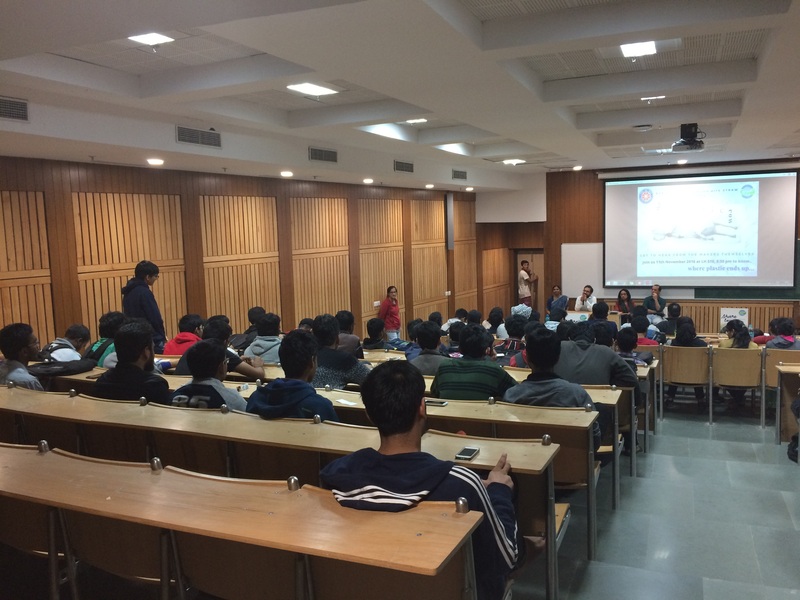 We have organized these programs for students at the Indian Institute of Technology, Delhi (IIT-D), Jawaharlal Nehru University (JNU), Lady Shri Ram College (LSR), to name a few. "Human beings being highly evolved life-forms over others ought to take the responsibility of conservation to ensure a balance in nature." In addition to humane education programs in schools and presentations in colleges, we have also established highly successful Animal Helpline, which allows us to coordinate and provide the much needed help to an injured, suffering or an abandoned animal, in the shortest possible time. In non-critical matters, we take the opportunity to counsel those who call our Animal Helpline. It is during such calls relating to people having issues with their pets that we have been able to save many cats and dogs from being abandoned by their owners. People with preconceived notions on neighborhood cats, dogs and other stray animals and even birds, have been reformed.